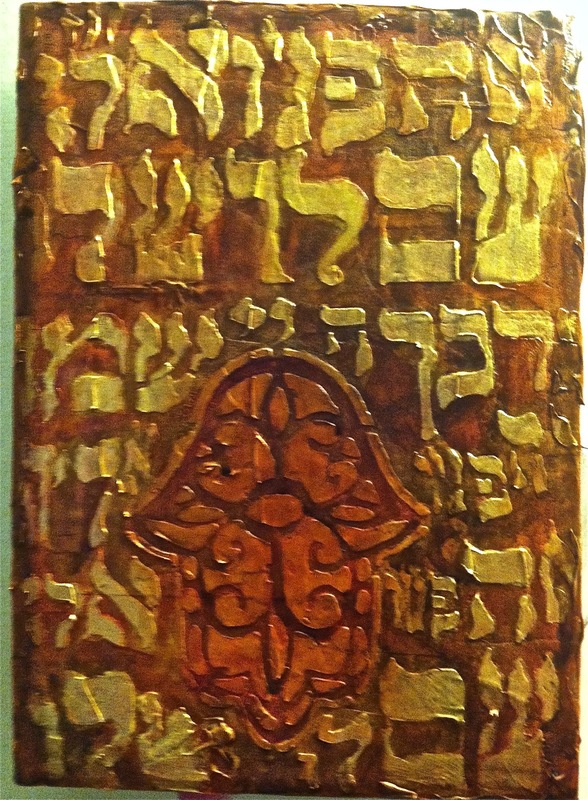 Jessica Sporn Designs: Test Driving the Hebrew Calligraphy Stencil and a Giveaway! 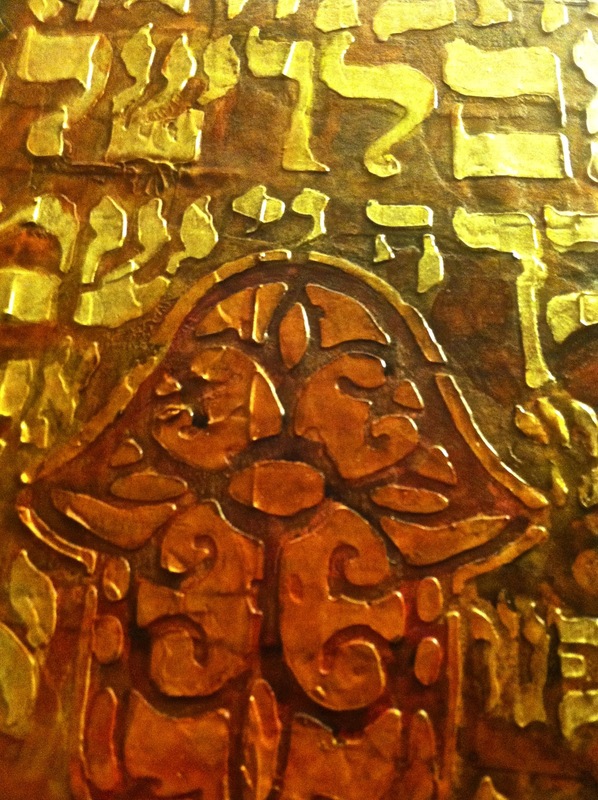 Test Driving the Hebrew Calligraphy Stencil and a Giveaway! 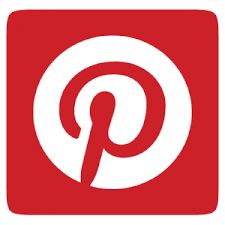 Welcome to the start of the Stencil Test Drive, and my 100th post! 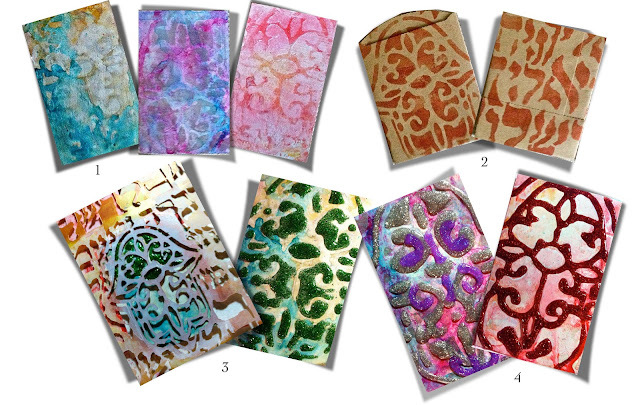 Today I am joined by Carolyn Dube, Michelle Rydell, and Judy Shea to test drive the Hebrew Calligraphy stencils that I designed for Stencil Girl! 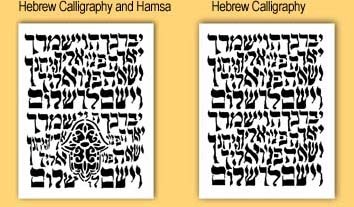 A Little Background: The Hebrew alphabet is made up of consonants only (22 of them), and emerged by the 10th century BCE. It is closely related to Phoenician script, which gave rise to alphabetic writing in ancient Greece. Both the Phoenician and Hebrew alphabets are believed to have evolved from script written in the Middle Bronze age! For more information, here is a great article about the beauty of different typography and calligraphy from around the world. The Hamsa hand is symbolic of the protective hand of God. When it faces upward, it is said to help keep away evil and misfortune. 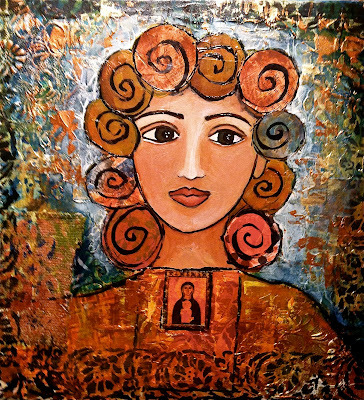 When it faces downward, it symbolizes the giving of hope, peace and prosperity. 2 & 3. 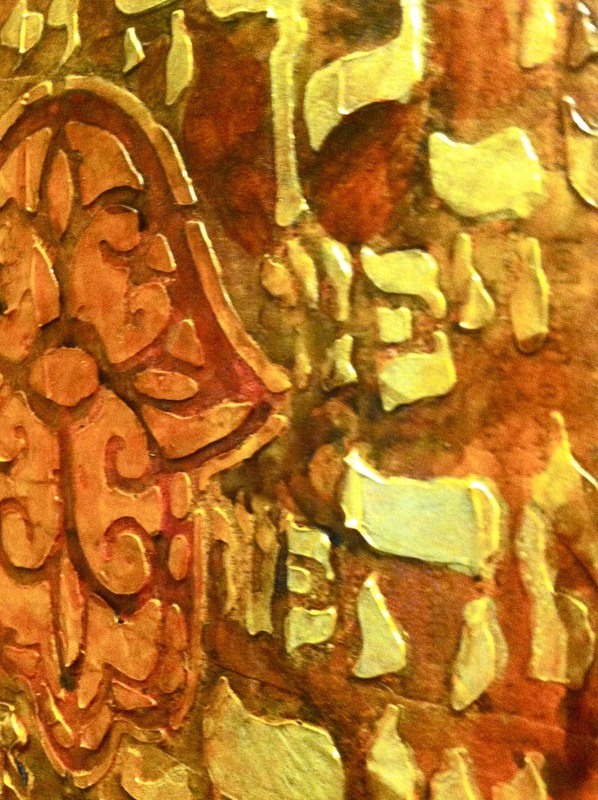 I scraped modeling paste over the calligraphy stencil with a palette knife, and left it overnight to dry. 4. I decided I wanted to paint over the face. So I loosely went over her features with black fluid acrylic paint, and made her hair curly like mine! 5. first stages of paint -- hmmm - not sure I like that green and she's definitely too pink! 8. On my lady's garment, I wrote some lyrics from Jane Siberry's beautiful song, Calling All Angles. 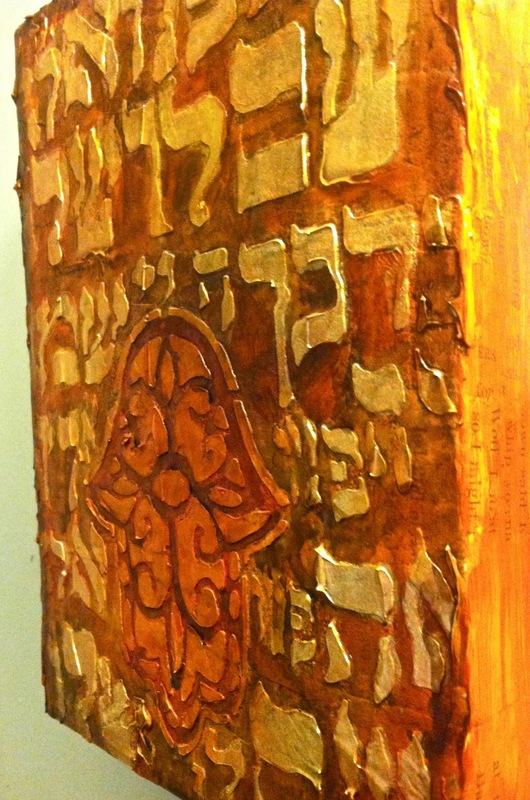 Even though the Hebrew calligraphy is no longer distinct, I think it gives an ancient feel to this canvas, and grounded my lady in another time and place. I also really like the contrast between the smoothness of her face, and all of the texture in the rest of the painting. I rubbed the entire box, including the sides, with Golden Acrylics Yellow Ochre and Quinacridone Nickel Azo Gold paint. Then I sprayed Tsukineko Antiquing Solution in Walnut and Java and wiped the spray off of the raised letters and hamsa symbol while the ink was still wet. 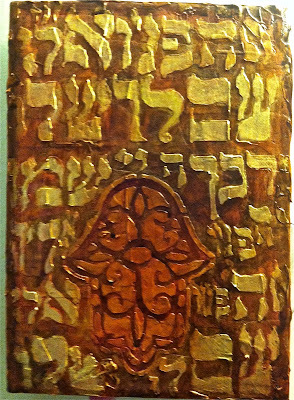 I used a small brush to loosely paint Iridescent Gold on the letters, and Deco Art copper paint on the hamsa. Lastly, I used a fine brush to drip Java Walnut Ink into several of the crevices to age the piece even more. I look forward to giving this piece as a wedding or new home gift! I also wanted to do some cards just using the Hamsa element of the stencil and glitter glue! 1. 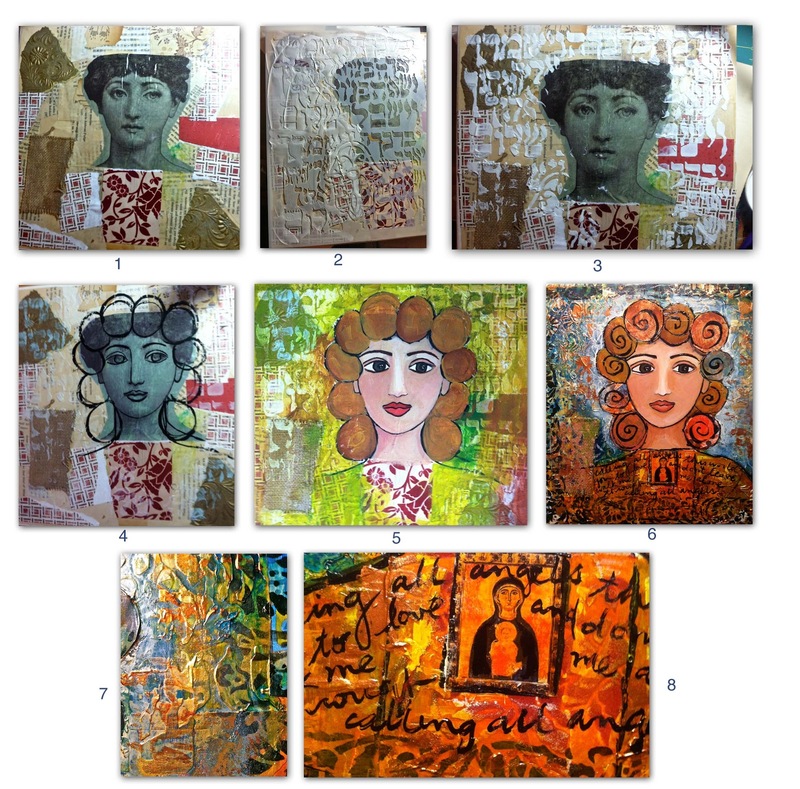 I pounced gesso onto ATC size cards. When it dried, I sprayed them with Adirondack color washes and dripped on Liquitex acrylic ink. I sprayed the wet ink with water and let the inks drip around. As they started to dry, I blotted them with a rag. The gesso resisted the inks, leaving a "ghost" of the design. 2. These little cards came with their own pockets (how cool is that!). I stenciled the hamsa and the lettering on each side of the pocket with copper paint. 3. 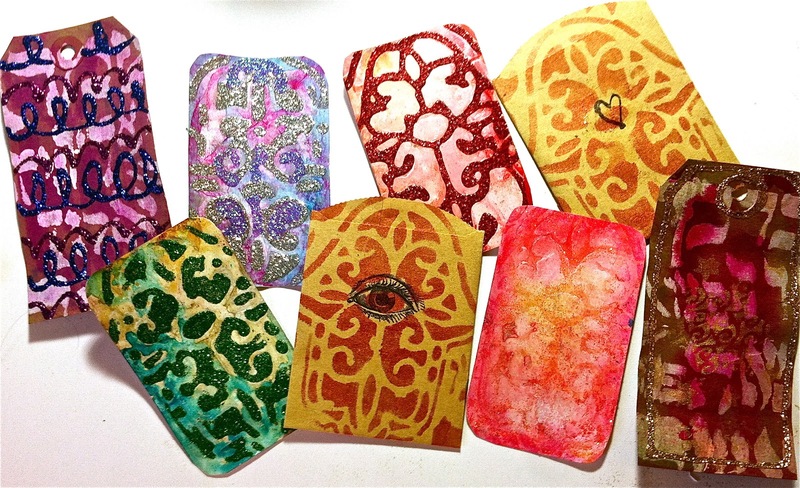 On some of the inky cards, I laid the stencil back down and filled the openings with glitter glue for some sparkle (important - if you do this, wash the stencil immediately!). 4. On some of them, I outlined the negative spaces with glitter glue. Here they are with the edges trimmed and some stamping! Join me on December 20, when Carolyn Dube, Corrine Gilman, Maria McGuire and Ronda Palazzari help me test drive the Medieval Leaves stencil! 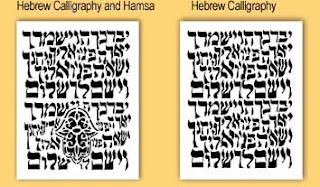 Have you been test driving the Hebrew calligraphy stencils? If so, please add your url to the linky list below by December 19 to be eligible to win the starry night stencil, so you can join us for that test drive on January 10th! If you've been using ANY stencils in your work, feel free to link up as well and join our blog hop! The linky list will be open until Wednesday, December 19th, so you have lots of time to get the stencil and hop on! Check here for the upcoming stencil drive schedule if you want to plan ahead and get some of the stencils! Also, Stencil Girl Products has a great promo - 6 stencils for $75, or individual stencils for $14. Free domestic shipping for orders over $50! Click here for more info. Terrie Purkey December 4, 2012 12:04 PM who wrote: Your comforts are perfect - the same as mine! 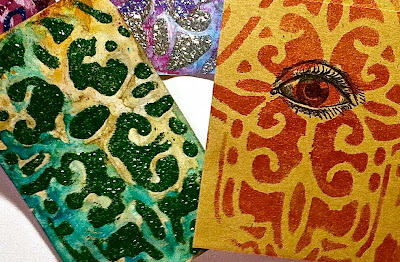 :) I might add curl up with a good book.... Love your bright and colorful ATCs and I think that's going to be something I add to my 'must try' list for 2013. I've been a long time follower, so go ahead, give me that second chance to win! :) Happy Holidays and congrats on that 100th milestone. The ATCs are on their way to you! Thank you for visiting! 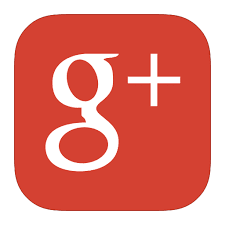 I read and treasure every comment and will answer any questions as quickly as I can. 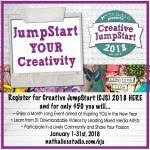 Linking up to Art Journal Every Day, Paint Party Friday, Frilly and Funkie (light) and Try it on Tuesday (inky). I love this stencil, Jessica! Those tags are my faves. Wowwwwwwwwwwww!! These are all gorgeous!! I just love the colors and how each one is so unique even with using the same stencils!!! LOVE THEM all!! I'd tell you which is my favorite but I can't pick! These are so incredible..Love the bold colors..soooo GORGEOUS and your calligraphy is amazing! Beautiful textures and layers, Jessica! These are simply beuatiful and so rich in texture. Fabulous stencil art Jessica!! I too love iconography of all religions. Your Hebrew stencil and the words are so beautiful! What beautiful art! The letters are beautiful in whole and in part... the background of your rich canvas is stunning, and I love the rich texture on all the ATCs. Congrats on your stencil launch and the 100th post, too! I agree with Carolyn.. how can I pick. All gorgeous. A busy day in your studio and amazing results. Hooray! I can't wait to receive the ATCs - they will be my first and start my collection! Thanks Jessica. My home email isn't working so it will be coming from work - hope it doesn't end up as spam! These are so cool! I did know about the consonant only, but didn't know any of the other...thanks! I too think they can be used a million different ways. Fabulous art! what a beautiful test drive of those wonderful stencils! Love the calligraphy like stencils and the colors! Brilliant work Jessica! 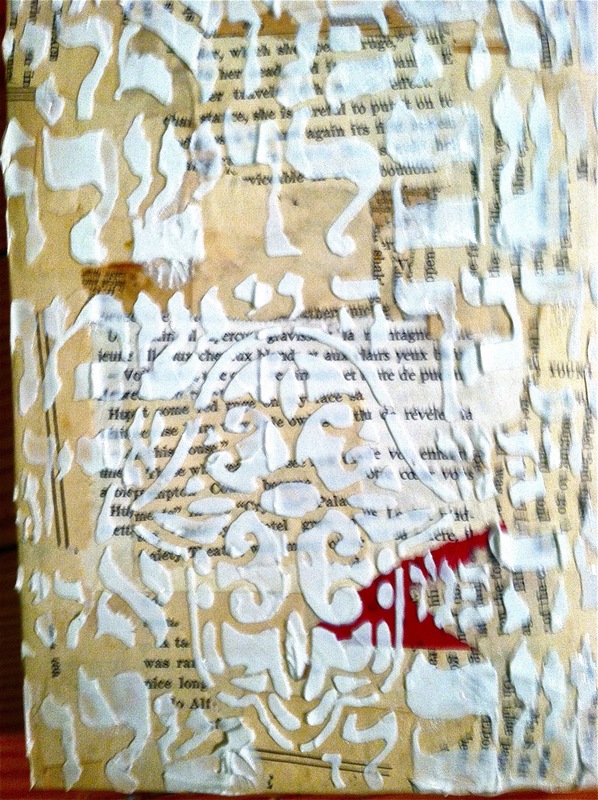 It is so much fun to see your process in making your first collage. What beautiful results! All of your projects here are just gorgeous! Love how you used that face as your basis! And love, love, love her curly hair. The stencils! They look amazing!! I learned Hebrew when I was 30... it is a beautiful language! Lovely use of stencils! Happy PPF! What an incredibly beautiful stencil and SO versatile! VERY clever! Those stencils are incredibly versatile! You did some amazing things with them. Thanks for sharing your work and your process with us in PPF! what a beautiful sentiment. i love seeing how you've incorporated it in so many different ways! Wow! These are all so lovely and all so different. Great stencils. Nice textures. Way to go! Thanks. Happy PPF! I am 'blown away' by all of this. What an amazing project and what fantabulous results. Well done all of you. Happy PPF. Jessica, this has been a real education today. I love this Hebrew calligraphy blessing and the hand of God. What beautiful work you have done with them. I love the depth you achieved in all the works. So gorgeous. being the stranger to art, i have never even heard of calligraphy stencils. my daughter and i have been trying calligraphy writing this week though. 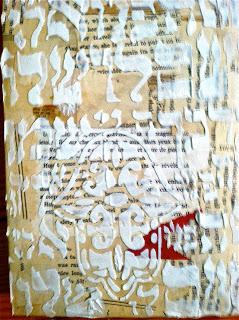 your stencils are just wonderful and I enjoy to see you walk through the process to have in the end this lovely piece!! 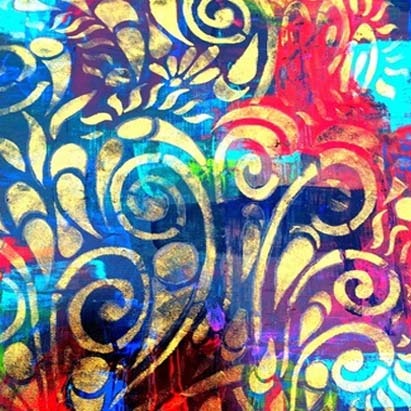 I love calligraphy, and the way you've used it as a textural background is amazing. Blessings! I love all of what you have done.... its all so varied. I especially love the colours and textures on the ATC's. I am so impressed with what you have done with the stencils. The are so rich, they glow ! And it was interesting to see the processes. 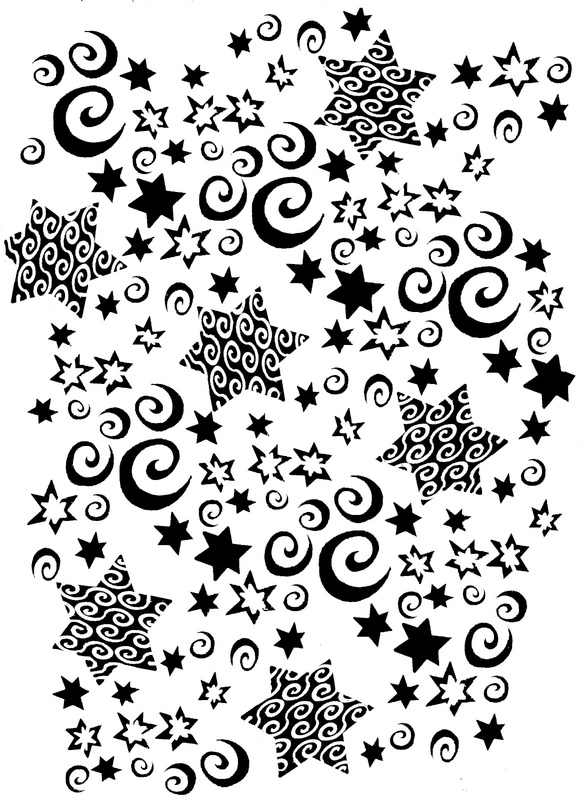 Wow, these stencils look really really beautiful! I saw it on Carolyn's blog too, it's amazing how they come out with different techniques. Great work. 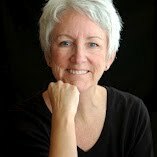 I love the pages you are all creating! Wow!! I love this stencil. I love the second one especially with the stencil really highlighted, It looks ancient. How can I get it? Thanks so much for the Medieval Leaf Stencil, it arrived Monday. May I test drive it? Also how do I sign up for other test drives?